I would like to share some of my source files from Tatooine At War I recently released and here we are: Han Solo and Boba Fett, both from the cancelled game: Star Wars Battlefront III for Battlefront II. This little pack only includes the models, textures and option files. If you put both folders into your side's folder (if you are using these sides) then all .msh files will be replaced. I use the stock hand textures for the hands so don't wonder when all hand parts are white when you open the models into MshViewer. Don't forget to credit me and the others who made and brought those models to us. You will find more information in the readme file I included. Last edited by thelegend on Mon Dec 28, 2015 5:00 pm, edited 2 times in total. If only I knew how to convert units into props. I would just add them in the side as decorations lol. Last edited by TheMastermindOfMaom on Mon Dec 28, 2015 5:38 pm, edited 1 time in total. these once are fully enveloped. So you can use them without problems. Just take an existing unit, and change the mesh names to the one from the download. 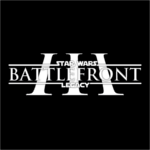 @thelegend: happy to see one more swbf3 asset. Do you think of improving the envelope?? 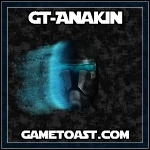 Anakin wrote: @thelegend: happy to see one more swbf3 asset. Do you think of improving the envelope?? Nah I am sorry but I'm not really good at enveloping models such as Han or Boba (due to their vertex, poly count etc.). Anakin wrote: Do you think of improving the envelope?? The problem I see with dense meshes is they really need more than one bone per vertex so the deforms are smooth and the docs say this is possible with an option file but it just doesn't work for some reason. We need to figure this out if it does indeed work. So there is a script, that can make the envelope for us?? Where can i find/fix it? ?